The popular low-cost airline, Norwegian, is today continuing its Irish expansion with the launch of the carrier’s first route to Canada. Commencing 31st March 2019, the new daily service between Dublin and Hamilton – Toronto will mark the first direct flight between the two cities, providing passengers with greater choice and flexibility at an affordable price. 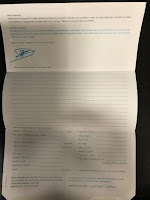 Fares start from €189 one way. Norwegian’s daily nonstop flights from Dublin to Hamilton – Toronto will be operated using brand new Boeing 737 MAX aircraft offering 189 seats in a high quality, modern single-class cabin. Hamilton, located in the Canadian province Ontario, is ideally situated to allow passengers easy access to major cities and attractions in the vicinity. Toronto is less than 50 minutes from the city, Buffalo New York and Niagara Falls are only one hour away. Lake Erie, the fourth largest of the ‘Great Lakes’ in North America, is a short one-hour drive from Hamilton and is renowned for its small fishing ports, beaches, fishing and diving facilities as well as vineyards situated along the coastline. The surrounding area also offers travellers a wealth of cultural experiences from the ‘Art Gallery of Hamilton’, housing the third largest permanent art collection in Canada, to the ‘Festival of Friends’ held in August, Canada’s largest annual free summer music spanning over three days. Vincent Harrison, Managing Director at Dublin Airport said: “Dublin Airport is delighted to see Norwegian launch this new service to Hamilton – Toronto. It will be Dublin Airport’s fifth destination in Canada, offering further choice to the growing Canada-Ireland and Ireland-Canada markets and the overall transatlantic market between Dublin and North America. Europe’s third-largest low-cost airline carries 33 million passengers each year to more than 150 global destinations. Norwegian launched transatlantic services from Ireland in July 2017 with affordable direct flights from Dublin, Shannon and Cork to the New York and Boston areas on the US east coast. Norwegian will continue its growth at Dublin by continuing its summer 2018 schedule into the winter. Irish customers will continue to benefit from a double daily service to Stewart, New York and daily flights to Providence, which offers passengers more affordable access to the tourist centres of New York City, Boston and the New England area. 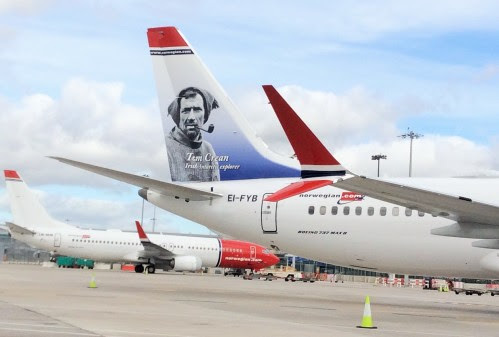 Norwegian has recently made the headlines regarding take-over talks the airline is having with a number of its European rivals including British Airways owners IAG, Ryanair and Lufthansa.